Lot 736: Richardson's Dictionary, 1839, 2 vols. 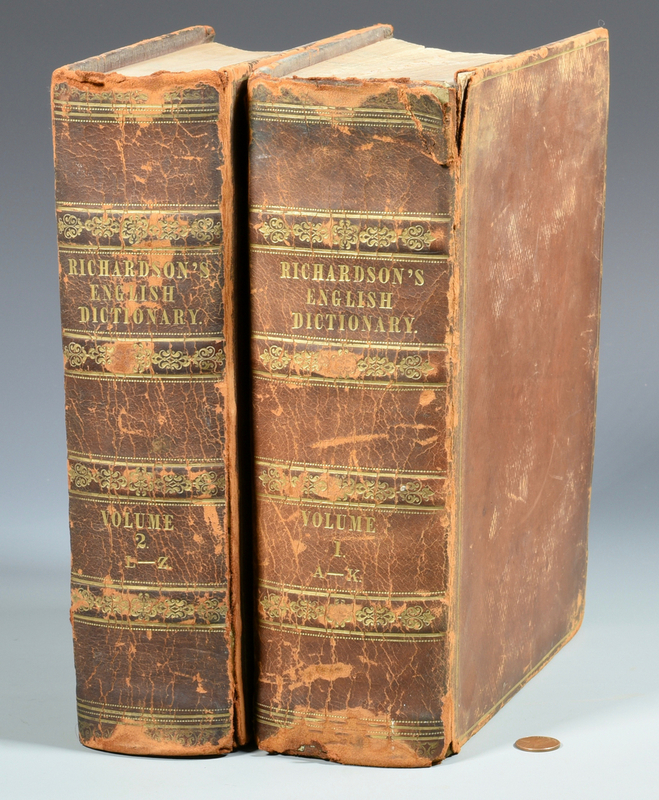 You are here: Home >> July 30, 2016 Historic Southern Summer Auction >> Lot 736: Richardson's Dictionary, 1839, 2 vols. RICHARDSON, Charles. 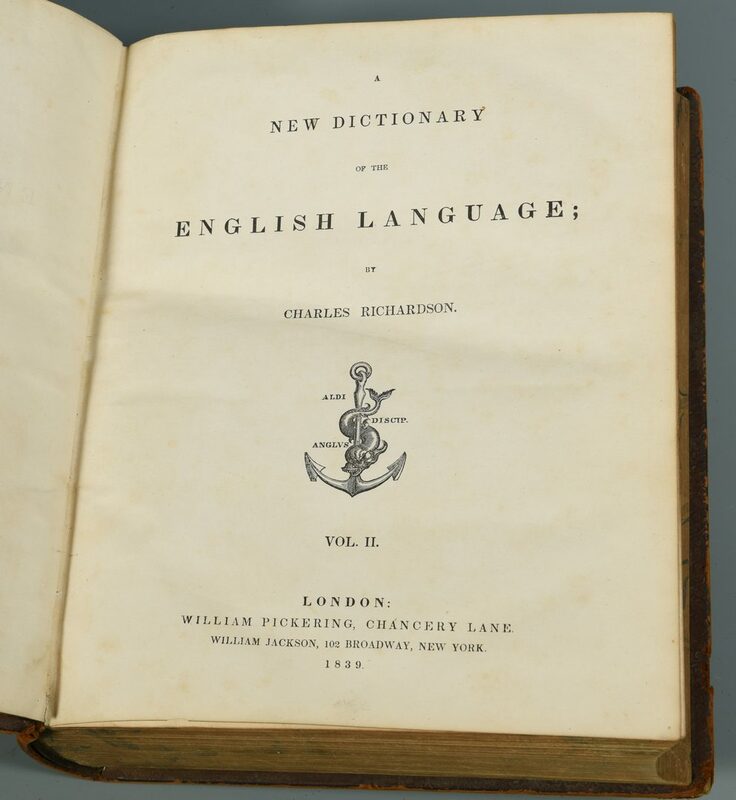 A New Dictionary of the English Language. 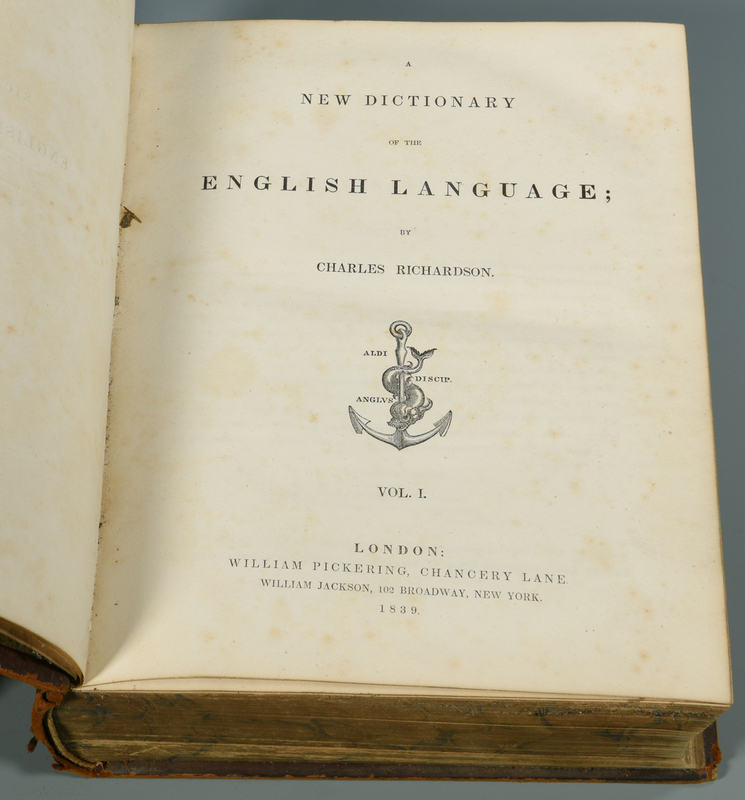 London: William Pickering, 1839. 9 1/4" H X 11 1/4" W (Quarto). 2223 Pages (continuous pagination). 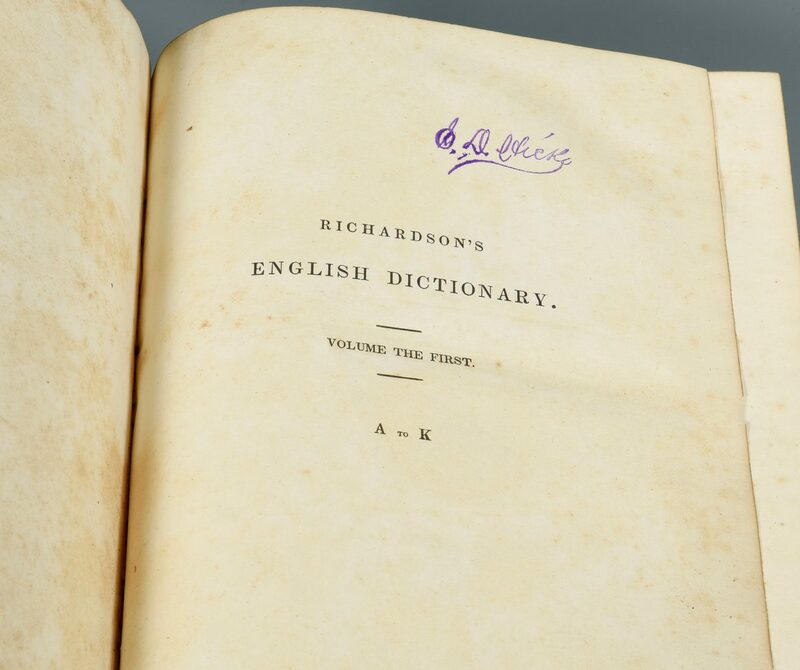 Third edition of this important early Richardson dictionary. Both volumes complete. 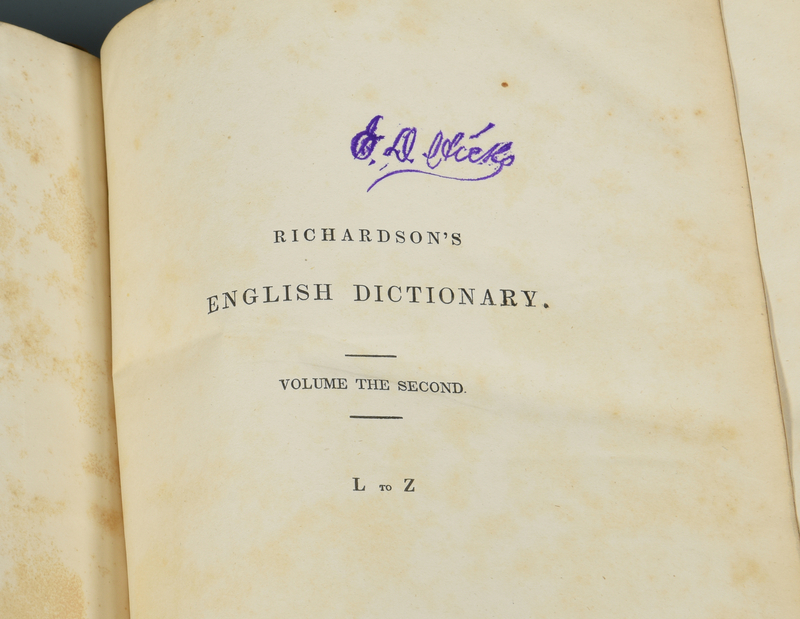 Stamped signature of 'Edward Hicks' on the inside board of each volume. 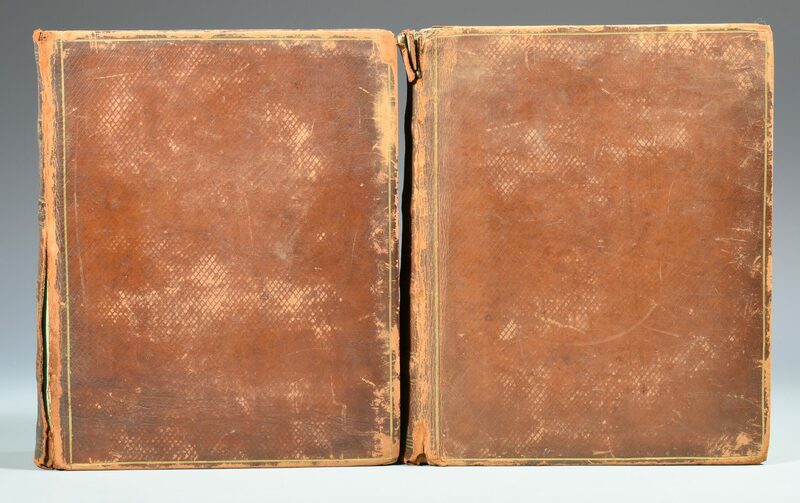 Original leather binding with four raised hubs on each spine. Marbled page edges. 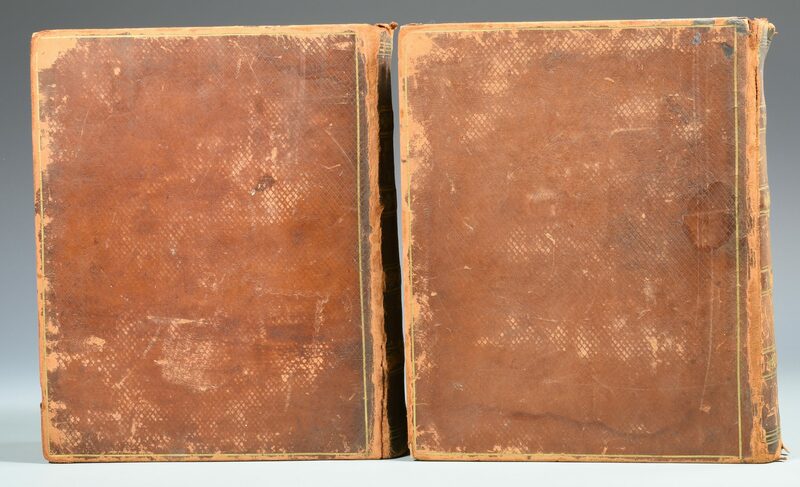 A scarce set.Provenance: the estate of Giers descendant Sarah Hunter Hicks Green, formerly of Historic Devon Farm, Nashville, Tennessee. CONDITION: Overall good condition. Considerable wear to boards and spine. Leather cracked and quite brittle at hinges and head and foot of spine.